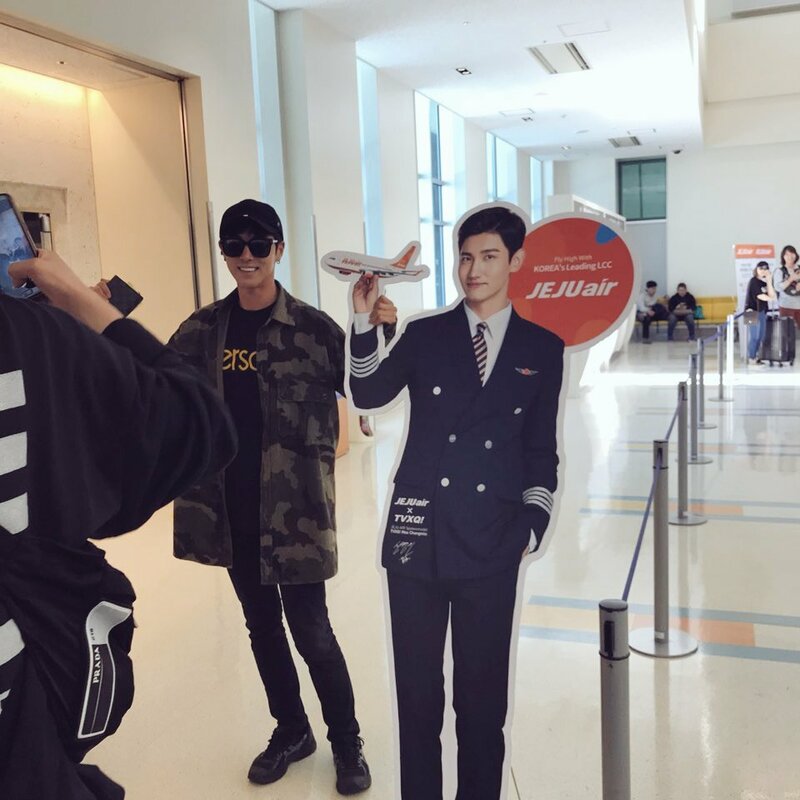 Previously, we posted about a fanaccount of Dunia’s cast helping Yunho take photos with Changmin’s JEJUair standee when they came back from Okinawa on 180513 via Incheon airport! We have a photo of it now! 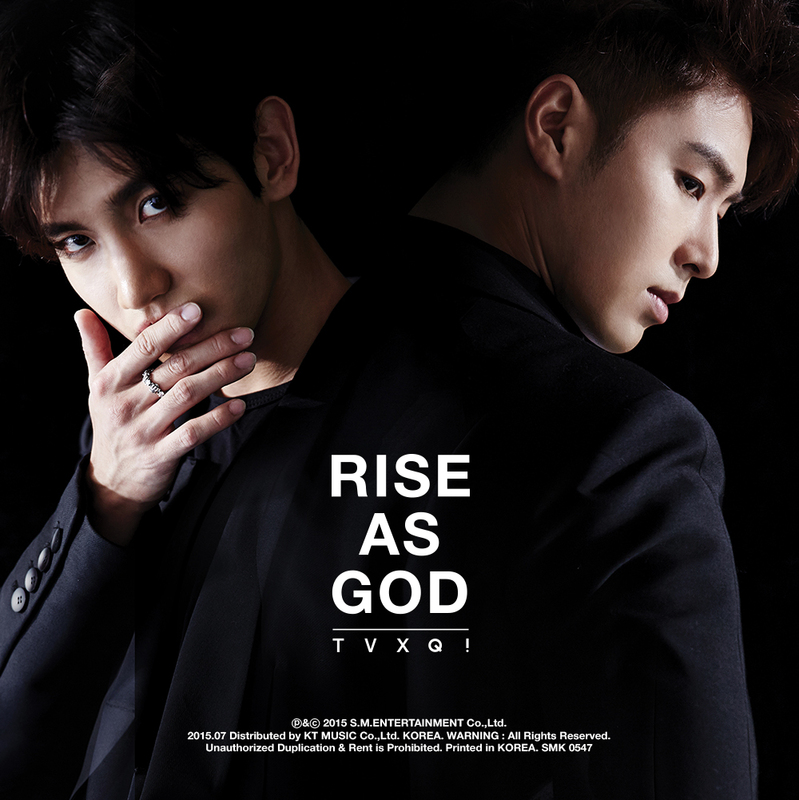 Yunho was holding Changmin’s standee’s hand, too! 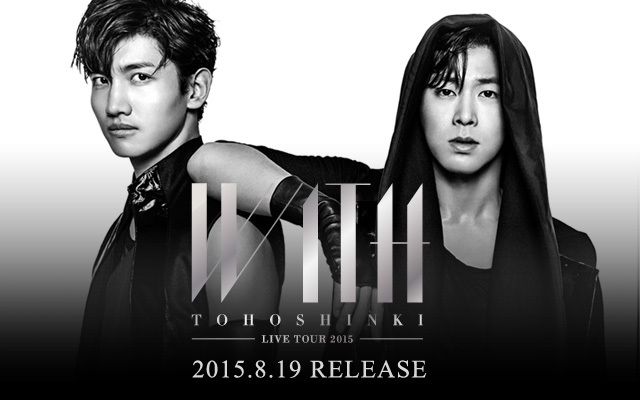 so cute > w <!!! 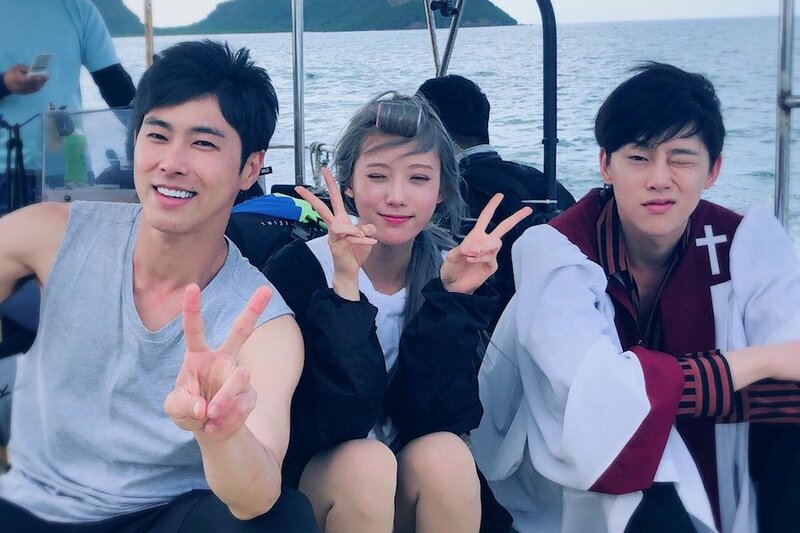 In a preview clip released of the upcoming episode of MBC’s variety show “Dunia,” TVXQ’s Yunho, WJSN’s Luda, and Kwon Hyun Bin talk about malicious comments. 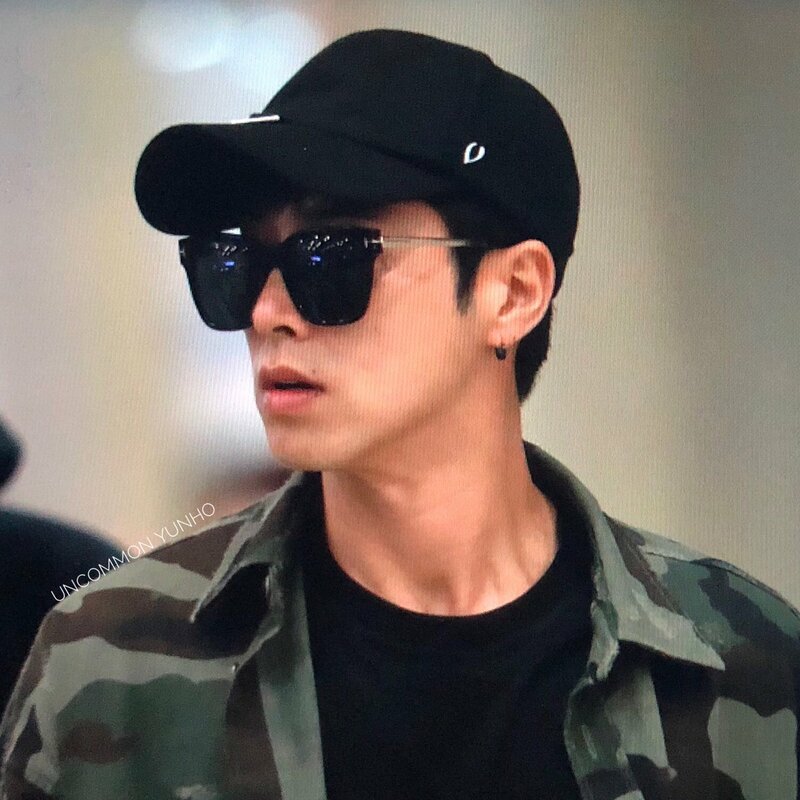 Yunho went to Japan, apparently to Okinawa, with MBC’s Dunia cast crew for a one-week filming, and they just came back arriving at Incheon airport! Mentioned at the end of this post: a cute fanaccount about the Dunia cast helping Yunho taking photos with a Changmin standee at the airport > w <!